Motivation has been an element of memory wellness difficult to pinpoint, until now. A new study set out to focus on what and where motivation is controlled in the brain. What they found was the same area that controls the promotion of a behavior also can suppress the same behavior. Scientists already knew where some memories were stored, but they weren’t sure if a single brain region could be responsible for opposing memories-like positively doing something or suppressing the urge to do the very same thing. Initially, they demonstrated a cause and effect reaction in tests involving mice activating a lever for a reward or not. But this alone couldn’t prove the specific brain region was entirely responsible. Then they medically ‘turned off’ specific groups of brain cells they hypothesized were responsible for the behavior. This experiment demonstrated that yes, the same area that promotes a behavior can also suppress it. While this is helpful for mapping memory areas of the brain, it can also have an impact on our approach to habit formation. If we can promote one habit over another, maybe we can then also prohibit the habit as well. As discussed in last week’s blog post, we’ll be looking at habits from many angles this year. In the interim, continue to identify which habits you’d like to adjust or change. 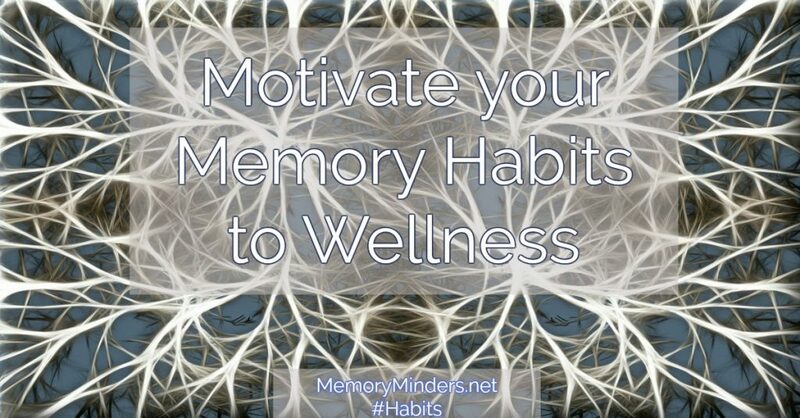 Deleting or changing the not-so-good and adding or adapting the good habits can lead to positive memory wellness change. Its impact will be felt this year and beyond. Knowing the same brain area is responsible for motivation promotion and suppression is great. Now let’s do something about it and motivate our memory habits toward wellness!